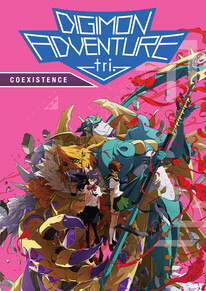 Meicoomon begins to rampage when she sees her partner Meiko injured by a mysterious man. Meicoomon is a distortion itself—in possession of too much power, and a key to destroying the world. The arrival of rampaging Meicoomon starts the countdown to the real world’s collapse. A series of abnormal phenomena occur all over the place. The DigiDestined are cast out of the Digital World when it goes out of order, and even after returning to the real world, they’re driven away by people on account of their accompanying partner Digimon.